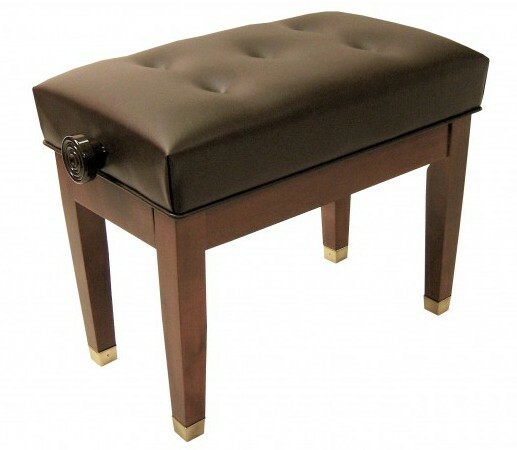 Petite Artist Bench by Jansen - Free Shipping at Perfectly Grand is rated 4.24 out of 5 based on 56 ratings. The Petite Jansen Artist Bench - made for discriminating pianists by Paul L Jansen, official bench maker for Steinway and the world's finest pianos. Used in concert halls around the world, this petite artist bench uses Jansen's patented micro-adjust mechanism. The Jansen bench is firmly upholstered with tufted upholstery and comes STANDARD with a SATIN finish and matching VINYL upholstery. Many leg choices, finish colors and the elegant option of leather upholstery provide the ultimate in choice and style Jansen benches are world famous for. Seat Size - 21" x 13"